Laurent Hilaire, Paris Opera Ballet deputy director, at the press conference on the International Ballet Festival Benois de la Danse. 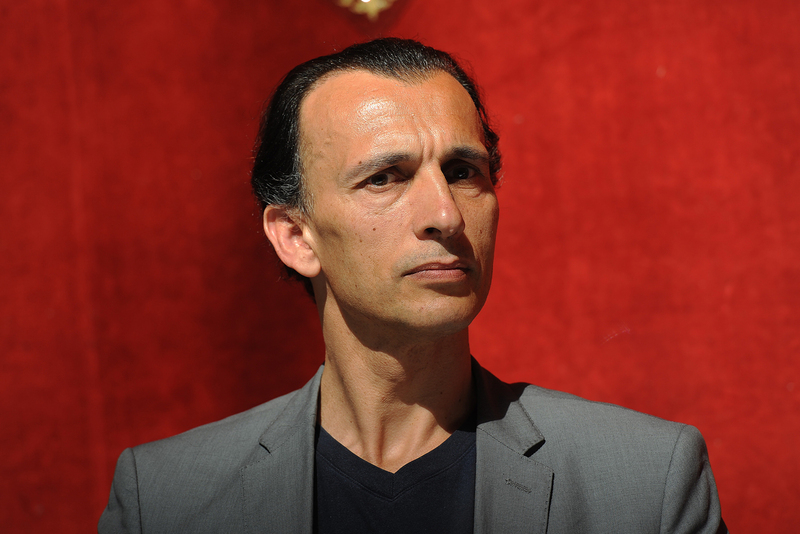 The former Paris Opera etoile is to replace the departing Igor Zelensky as head of the crisis-hit ballet troupe. Hilaire will be faced with the challenge of reviving a theater reeling from the loss of large numbers of dancers over the past year. French dancer and trainer Laurent Hilaire has become the artistic director of the ballet at the Moscow Stanislavsky and Nemirovich-Danchenko Music Theater. He will take the place of Igor Zelensky, who has taken up a new role as head of ballet at the Bayerische Staatsoper in Munich. This is the second time in recent history that a foreign dancer and choreographer has been appointed to a head post at a leading Russian theater. From 2011 to 2014 the Spaniard Nacho Duato headed the Mikhailovsky Theater troupe in St. Petersburg. However, ballet historian Anna Galaida, who is senior editor of the Bolshoi Theater’s in-house magazine, is critical of Duato’s time at the Mikhailovsky and advises care when it comes to Hilaire’s appointment in Moscow. “Inviting the Spaniard was no more successful than the attempts of European trainers in football clubs,” she said. “In the last few years the ballet troupe at the Stanislavsky has collapsed. It is formed of dancers from various schools, meaning that they have been taught how to dance differently. In the wake of Zelensky’s departure the Stanislavsky and Nemirovich-Danchenko Theater has also lost its star Sergei Polunin, the ex-premier of Covent Garden, as well as the exciting young prospect Ksenia Ryzhkova. In the past year the ballet has lost around 40 people: “only a few able-bodied dancers are left, and there are holes in every position,” said Galaida. Hilaire will take up his position at the theater on Jan. 1, 2017.